Every once in awhile I like to pull an old post from the archives, dust it off, and give it new life. This post from May 26th, 2008 on the true meaning of Memorial Day seems appropriate for the upcoming weekend as we all hopefully remember our fallen military heroes who paid the ultimate sacrifice for the rest of us to still stand free. Today is Memorial Day here in the United States, a date that was originally set aside as a day of remembrance for those who died on active duty in our nation’s service. 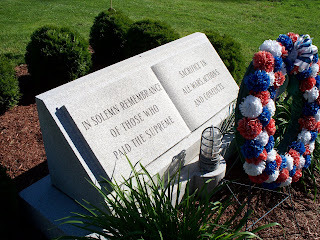 Originally known as Decoration Day, Memorial Day had many separate beginnings in towns all across the United States as people gathered for spontaneous or planned ceremonies to honor those who had died during our country’s Civil War. "The 30th day of May, 1868, is designated for the purpose of strewing with flowers or otherwise decorating the graves of comrades who died in defense of their country during the late rebellion, and whose bodies now lie in almost every city, village, and hamlet church-yard in the land. In this observance no form of ceremony is prescribed, but posts and comrades will in their own way arrange such fitting services and testimonials of respect as circumstances may permit. Let us, then, at the time appointed gather around their sacred remains and garland the passionless mounds above them with the choicest flowers of spring-time; let us raise above them the dear old flag they saved from hishonor; let us in this solemn presence renew our pledges to aid and assist those whom they have left among us a sacred charge upon a nation's gratitude, the soldier's and sailor's widow and orphan." On that first official observation in 1868, flowers were placed on the graves of both Union and Confederate soldiers buried at Arlington National Cemetery by members of The Grand Army of the Republic. 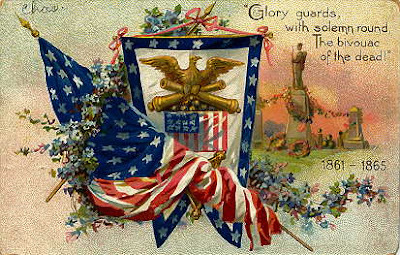 Five years later, in 1873, New York became the first state to officially recognize the holiday and by 1890 the day of honor was recognized by all of the northern states. The Southern states, however, refused to acknowledge the day and chose instead to honor their dead on separate days until the end of World War I. At that time the holiday changed from honoring just those who had died during the Civil War and expanded to encompass those brave Americans who died fighting in any war or conflict. The name of the day was officially changed to Memorial Day in 1967 even though it had been called as such since 1882. Unfortunately, in 1971, Congress changed the date of observation for Memorial Day from May 30th to the last Monday in May as part of the National Holiday Act to ensure a 3-day weekend. Shortly after that the reason for the holiday began to slip away as many Americans seemed to forget the meaning and traditions of Memorial Day – a day that was set aside to honor those who fell in service to our country and not just any and all dead or, worse yet, just an extra day to kick back and enjoy cook-outs, camp-outs, and hanging-out from work or school without any thought as to why such a day existed. Across from the monuments at the Point, on the north end of the Great Plain - as Chelsea Parade used to be known - one can find The Soldier’s Monument which was dedicated to the 140 men from Norwich who gave their lives during the Civil War. 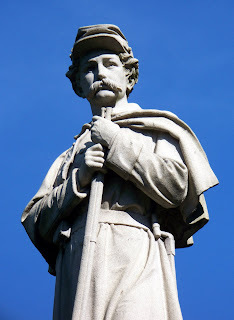 The monument was dedicated on April 23rd, 1875 and stands as a tangible symbol of honor and respect paid by the Norwich community to its sons who died in the war. 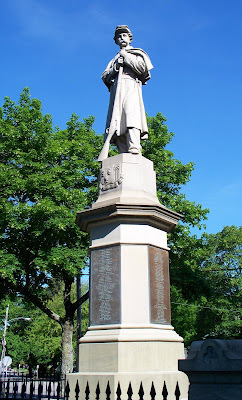 Topping the impressive 27-1/2 foot monument is a 12-foot tall soldier made of granite from nearby Westerly, Rhode Island who looks slightly down and to his left as he stands perpetual guard duty over Chelsea Parade and the nearby Norwich Free Academy grounds. 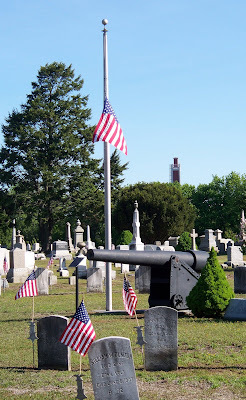 In another part of Norwich, at the eastern end of my favorite cemetery, stands another monument to Norwich’s Civil War dead - this time for the native sons of Norwich who perished at the notorious Andersonville Prison Camp in Georgia. At the Andersonville Memorial Gun in the Yantic Cemetery one can find concentric circles of soldiers’ graves with a 30-pounder Parrot rifle mounted on an iron carriage at the center next to an American flag that flies day and night. Of the 30 men from Norwich who were captured and interred at Andersonville, 15 died from starvation, exposure, disease, or execution. In early 1866 Norwich became the first Northern city to retrieve the bodies of its soldiers who had perished there when they brought back the remains of 9 of the 15 soldiers who could be identified. A public service for their re-interment was held on February 1st, 1866 which was preceded by the closing of local businesses and a parade then followed by an 8-course dinner at the Chelsea Hotel. 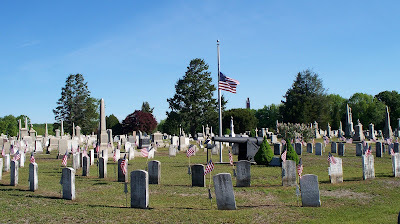 Over the years, in addition to the original nine Civil War veterans from Andersonville whose gravestones carry the name of the prison where they died, 62 other soldiers have been buried at the veterans plot with the last burial occurring as late as 1925. Of those 62, seven gravestones mark the final resting places of veterans of the Spanish-American War. It is a very solemn place and whenever I visit this monument, I say a thank you to all those who repose beneath the gravestones for their service to our country and the freedoms that we oftentimes take for granted. At 3:00 p.m. on Monday, I ask you to join myself, and hopefully many others across the country, as we observe a National Moment of Remembrance, a movement that began in 2001 when a resolution was passed for all Americans “to voluntarily and informally observe in their own way a moment of remembrance and respect, pausing from whatever they are doing for a moment of silence or listening to ‘Taps’”. “We do not know one promise these men made, one pledge they gave, one word they spoke; but we do know they summed up and perfected, by one supreme act, the highest virtues of men and citizens. 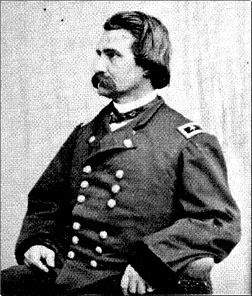 For love of country they accepted death and thus resolved all doubts, and made immortal their patriotism and virtue." Though he spoke of our fallen Civil War dead, those words ring true for all of the men and women who have died in service to our country. The least we can do in return is give our fallen heroes a moment of silence while we enjoy the holiday they fought and died for us to have. Posts like this are always relevent. Beautifully written about an important subject. I'm one of those old fogies who wants the dates back. Of course we could just gather them all together and give everyone a completely mindless extra two week vacation. I don't think the date is as important as is the fact that we all commemorate the fallen in the way that seems best to each of us.